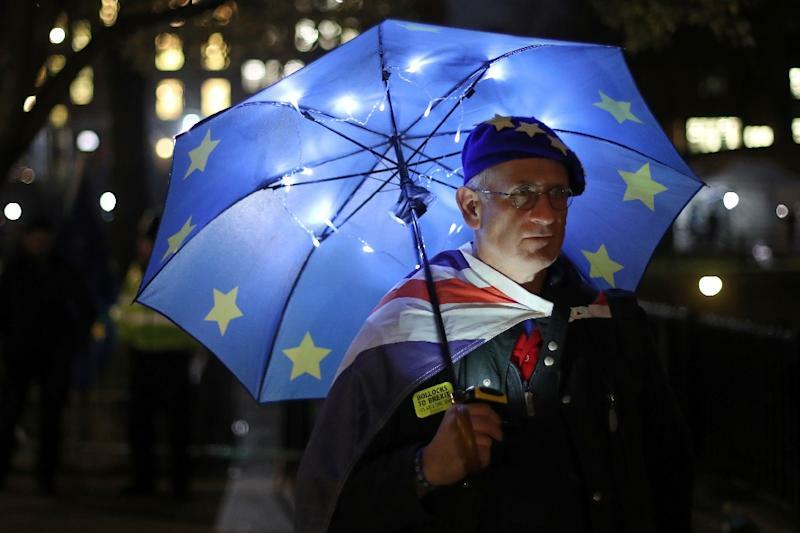 London (AFP) - The British parliament is split into cross-party factions over the EU divorce deal. 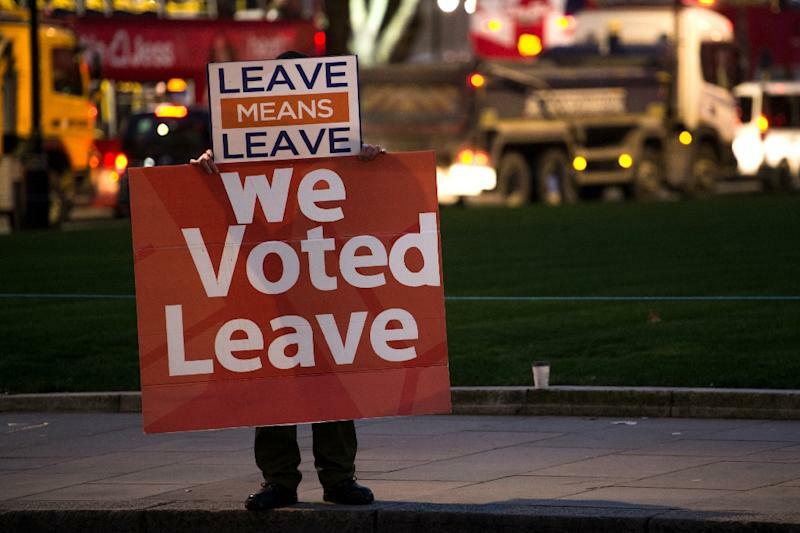 Parliament is to finally vote Tuesday on whether to support or vote against the agreement struck between Prime Minister Theresa May's government and the European Union. Everyone on the government payroll must back government policy -- or resign. Gareth Johnson quit his junior government post on Monday but there was no last-minute flood of resignations. Heavyweight cabinet Brexiteers like Michael Gove and Liam Fox are backing the deal for now. Backbench Conservative MPs who are firmly behind the government and are happy with the deal. Alarmingly few in number. With decision time approaching, a handful of Tories have changed their minds in recent days. George Freeman, May's former policy chief, has come into this camp in recent days. Conservative MPs who have reservations but just want to get a deal done and feel it is the least bad option. May's Downing Street office hopes to swell their ranks in the final hours. Led by Jacob Rees-Mogg, this faction also includes former foreign secretary Boris Johnson and former Brexit secretaries David Davis and Dominic Raab, who believe the deal delivers vassalage rather than independence. Rees-Mogg's European Research Group triggered a vote of no confidence in May in December, but she won and secured her leadership for another 12 months. Most Labour lawmakers are pro-EU and will follow the party line. Leader Jeremy Corbyn wants to defeat the deal, then launch a vote of no confidence in the prime minister and trigger a general election, in which he would campaign to go ahead with Brexit, but renegotiate the deal. If this plan fails, the party is open to backing a second Brexit referendum. 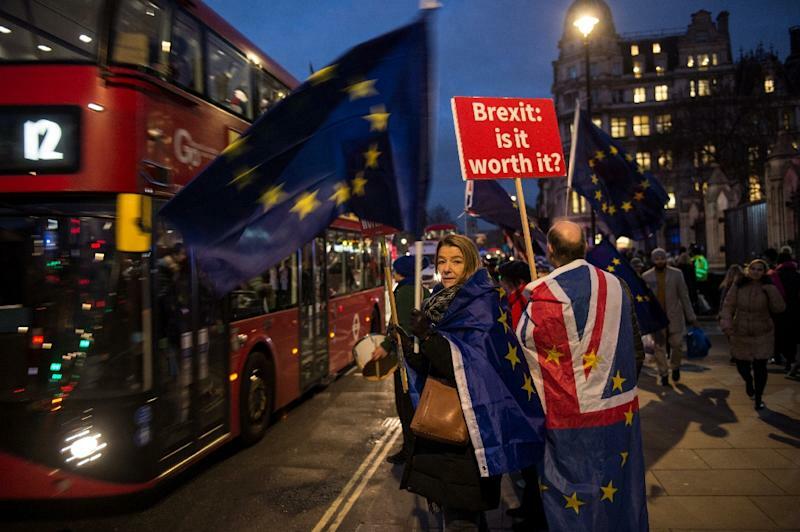 The bulk of MPs supporting the People's Vote campaign, which calls for a second Brexit referendum -- in the hope of stopping Brexit -- comes from the Labour backbenches. The 35 Scottish Nationalists, 11 pro-EU Liberal Democrats, plus four Welsh nationalists and the sole Green MP are pro-EU and anti-Conservative. May relies on the 10 Democratic Unionist Party MPs for a majority in parliament but they remain firmly against the deal, despite attempts to reassure them over the Irish border. A chunk of pro-EU Conservative backbenchers who also support the People's Vote campaign. They are led by former attorney general Dominic Grieve. May's best chance of victory could lie in persuading them to back the deal. She met with some Labour pragmatists last week and there are signs that they could be persuaded. Conservative and Labour MPs who have problems with the proposed deal but are also scared by the prospect of no-deal as the alternative. Will they blink first?